lewis – It's Time to Read! An orphaned boy and a kidnapped horse gallop for Narnia… and freedom. Narnia, where horses talk and hermits like company, where evil men turn into donkeys, where boys go into battle, and where the adventure begins. During the Golden Age of Narnia, when Peter is High King, a boy named Shasta discovers he is not the son of Arsheesh, the Calormene fisherman, and decides to run far away to the north – to Narnia. When he is mistaken for another runaway, Shasta is led to discover who he really is and even finds his real father. 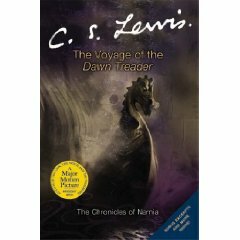 This is the third book in the Narnia series – if read in chronological order. This is a fun children’s book that takes us back to the wonderful land of Narnia. Peter is still on the throne and Aslan is around. Shasta is an orphan, running away from a fisherman’s life, helped by Bree, a horse from Narnia, also running away. On their adventures they are pushed together with Aravis and her horse and they see all types of adventure on their bid to get to Narnia – including lions, deserts and war. I really enjoyed this book. Lewis is a great writer, engaging his audience. This is a book primarily aimed at children, and it is easy to see why they are popular, however as an adult I also enjoyed this book, and recommend it to adults too. The characters were great. Aslan is still based loosely on God and this could be seen through the way he guided the children and his other actions. He is still my favourite character, however I loved Aravis, a strong willed girl who took no nonsense and Shasta as he grew up and became noble. The whole book was engaging and fun. It was exciting and easy to get into. Short and sweet, a book well worth reading. C.S. 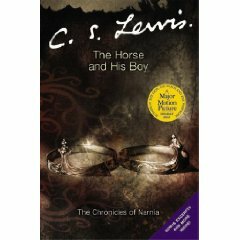 Lewis is famous for The Chronicles of Narnia, but what might not be so well known is he is the author of many Christian books. A Grief Observed was written a few weeks after the death of his wife. It is a collection of notes he has jotted down to help him through the mourning process. It is very short, only 60 pages, and I read it in a day. However, I did not find it an easy read. As it is just notes, it is a bit jumbled as we follow his train of thought. He talks about himself, his wife and God. We see his heart and attitude change as he heals and understands he will always miss his wife but it doesn’t have to be so painful. I felt I was intruding a bit in his mind and found the book hard to follow. Like Roald Dahl, these are books which are not just for children. The Chronicles of Narnia are beautifully written with the Christian message throughout. Polly’s hand went out to touch one of the rings. Immediately, without a flash or a noise, she vanished. When horrible Uncle Andrew starts experimenting with magic, Digory and Polly find themselves in another world, and at the beginning of an incredible adventure, as the doorway to the magical land of Narnia opens…This is the first adventure in the exciting Chronicles of Narnia. It took about half the book to get to Narnia, but honestly, that was not a problem. This gives time for character development, the meeting of the witch and the exploration of other worlds, which I would not have none existed had I not read this one. My favourite character, like most others, is Aslan the lion. He seems to intimidating but has such a soft heart, what an amazing creature. The description of him is stunning. As mentioned, the Chronicles of Narnia are based around the Christian story – but do not be put off by this. The Magician’s Nephew replays the Creation Story with Aslan creating Narnia and breathing life into the characters and the Tree of Life and how Diggory was not to eat from it or steal from it. There is a stark warning at the end to not let our world fall into evil and decline. I enjoyed this book, and would recommend you read it even if you are an adult. Lewis writes in a fluent and entertaining way, it is easy to follow and very enjoyable.